Michael completed his Honours Bachelor of Science with High Distinction in the spring of 2018, majoring in physiology and human biology. He has received numerous awards acknowledging his academic and research achievements, including the Hurvitz Brain Sciences Summer Research Studentship, IMSS Summer Undergraduate Research Studentship, and various New College Council In-course Scholarships. 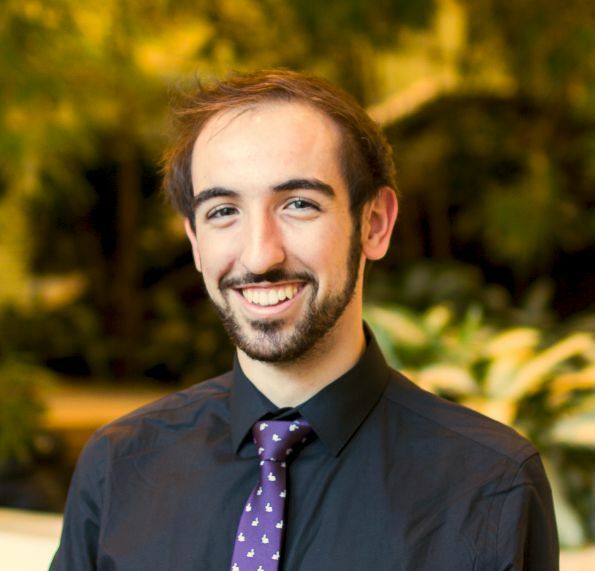 Entering the third year of his undergrad, Michael joined the lab of Dr. Beverley Orser. Here, he studied the effect of traumatic brain injury on the expression of a GABAA receptor subunit, hoping to identify a mechanism for the cognitive deficits commonly associated with this injury. Michael went on to share his work at a presentation competition for the Hurvitz Brain Sciences Summer Program, and was ranked 2nd overall. He then joined the lab of Dr. Mansoor Husain, where he shifted his focus to the cardiovascular system. Using mouse models for hypertension, diabetes, and obesity, Michael worked to identify biomarkers that are detectable while these risk factors are still developing, with the goal of improving prevention of cardiovascular disease. To help manage a work-life balance, Michael also engages in a number of extracurricular activities and hobbies. For the past three years, he has been an executive member of the Human Biology Students’ Union, where he organized and participated in events focused on student mentorship. He is now a member of the Graduate Association for Physiology Students, where he hopes to continue promoting student involvement and mentorship. Michael also enjoys spending his time rock climbing, as well as writing and performing music with his band. Michael is currently working towards an MSc in Physiology as a member of Dr. Scott Heximer’s lab, studying fibroblast heterogeneity in the heart, and how this can be used to optimize treatments for cardiac fibrosis. In the future, he hopes to translate his knowledge to a clinical setting with a medical degree, while maintaining his involvement in research.